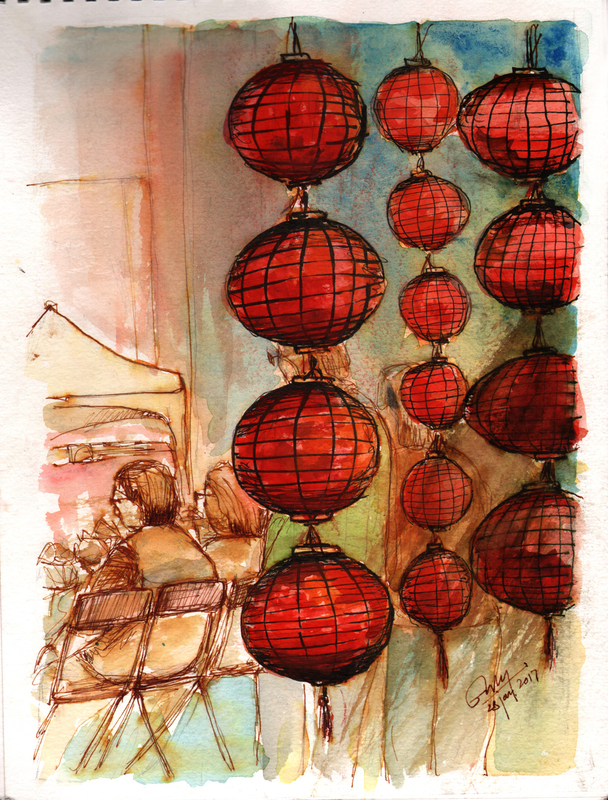 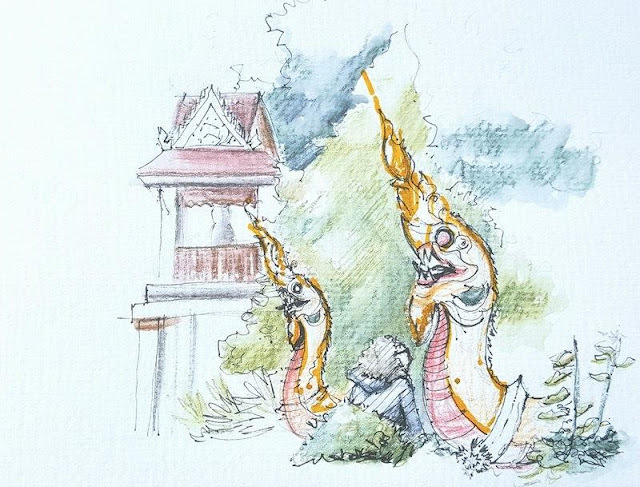 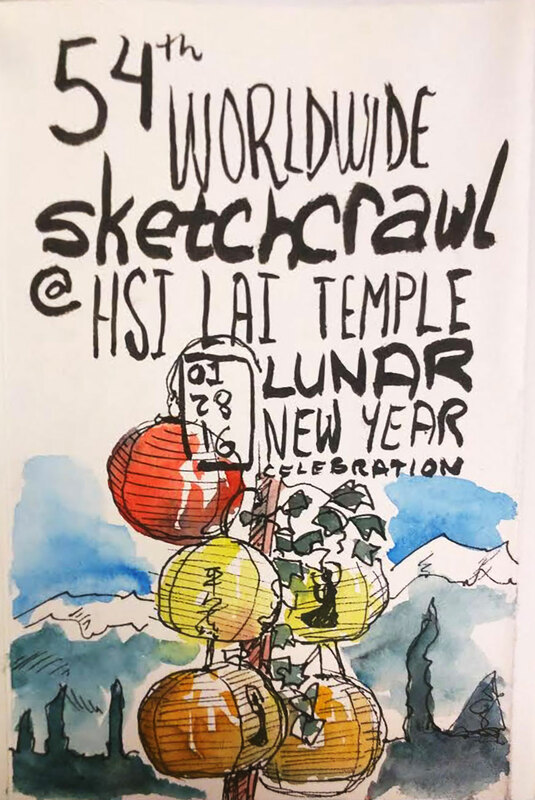 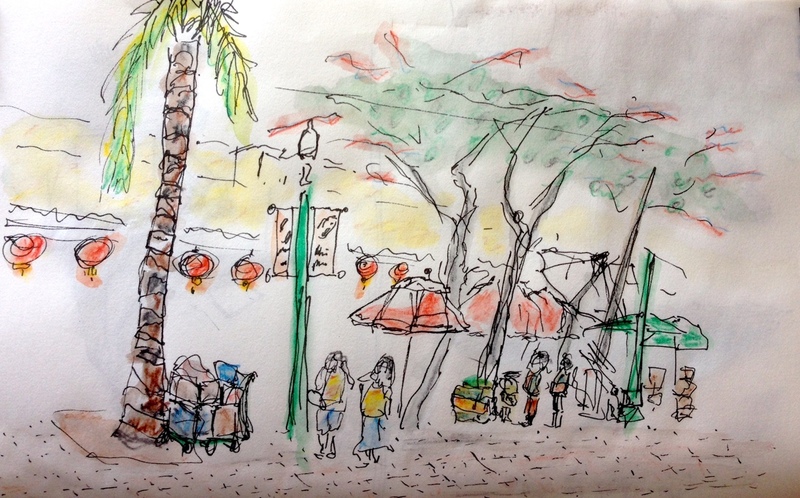 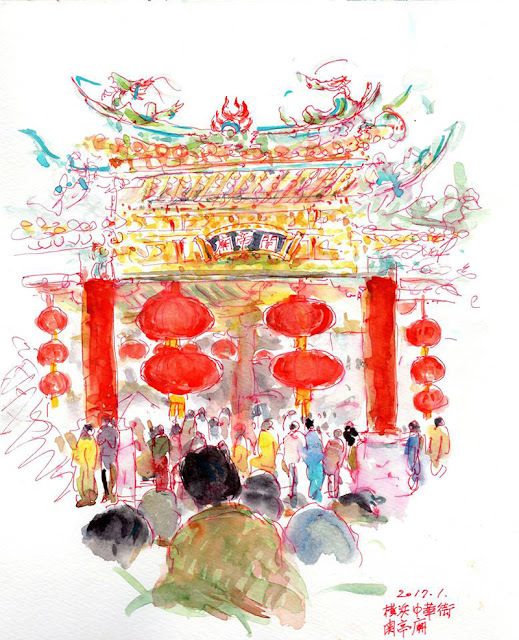 Sketchers worldwide celebrated Lunar New Year, which coincided with the 54th World Wide Sketchcrawl. 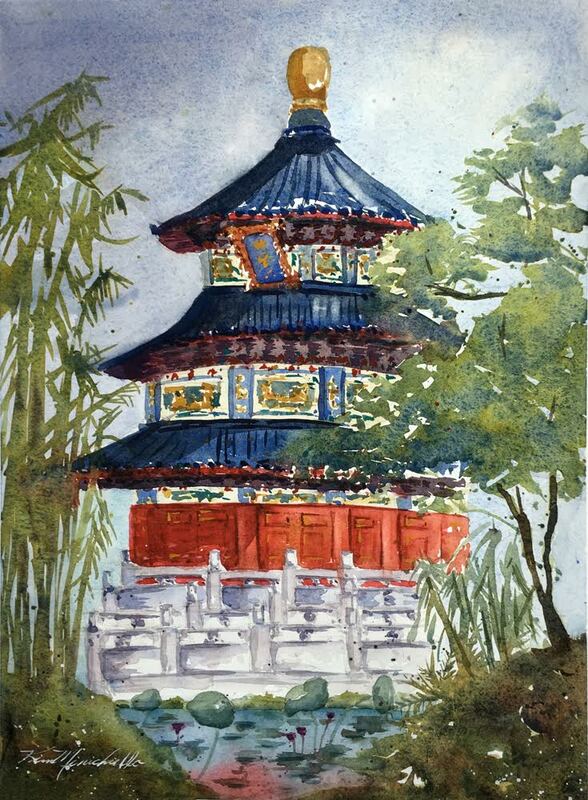 Urban Sketchers Regional Chapters from around the globe were invited to submit their sketches and word narrative of the festivities and glimpses of Chinese culture in their communities. 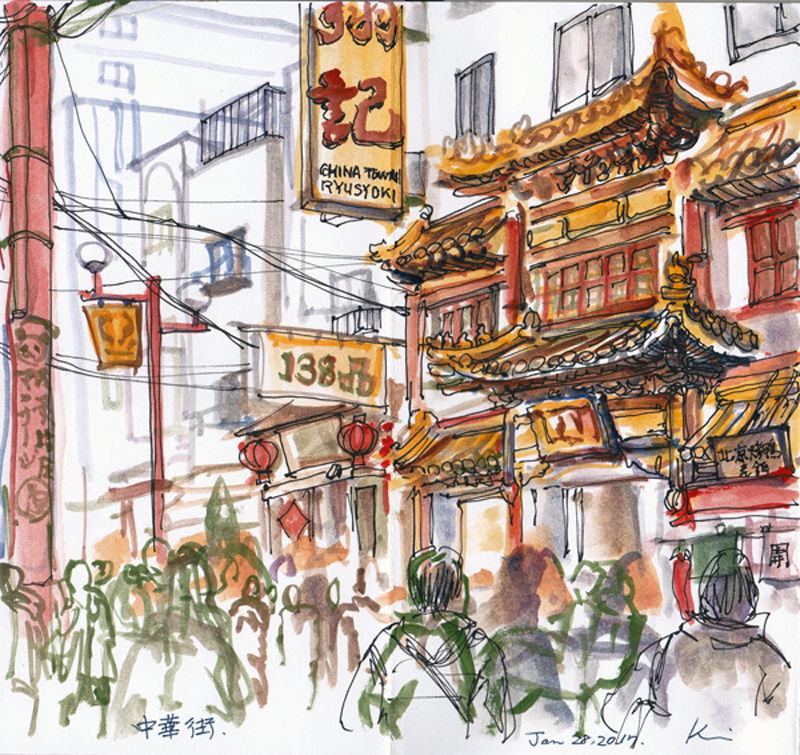 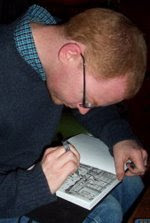 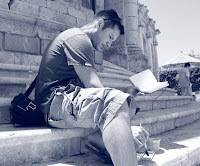 There was a huge response with many, many submissions from our prolific global community of urban sketchers. 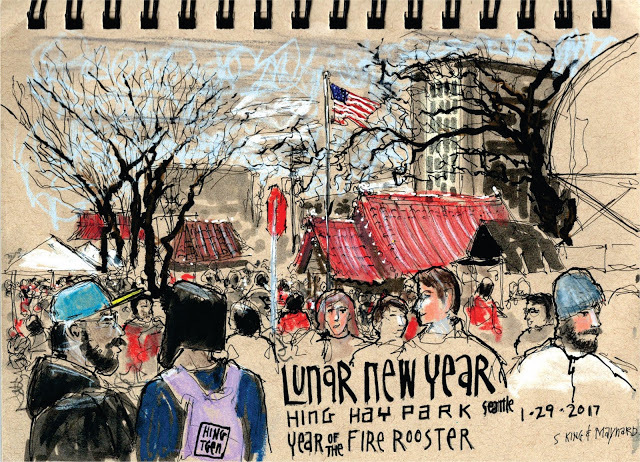 Here are a few colorful scenes from the dawning of the Year of the Rooster. As part of the 54th World Wide Sketchcrawl, the Portuguese Urban Sketchers assembled in the most international square in Lisbon to join and sketch the Chinese New Year celebrations. 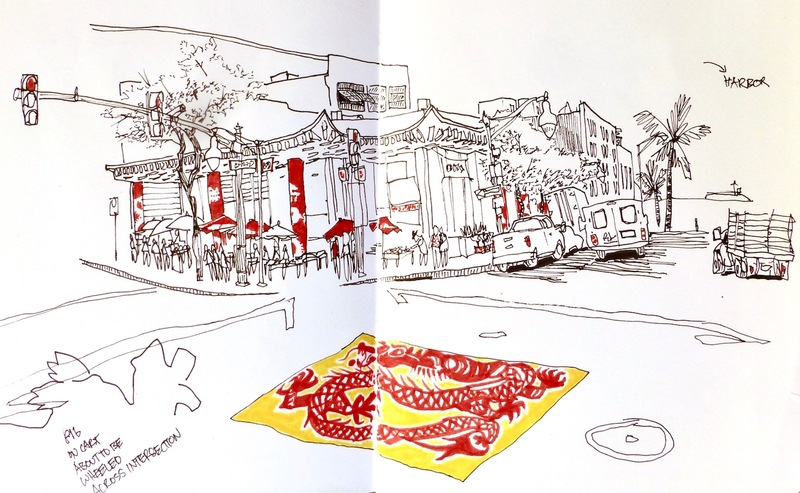 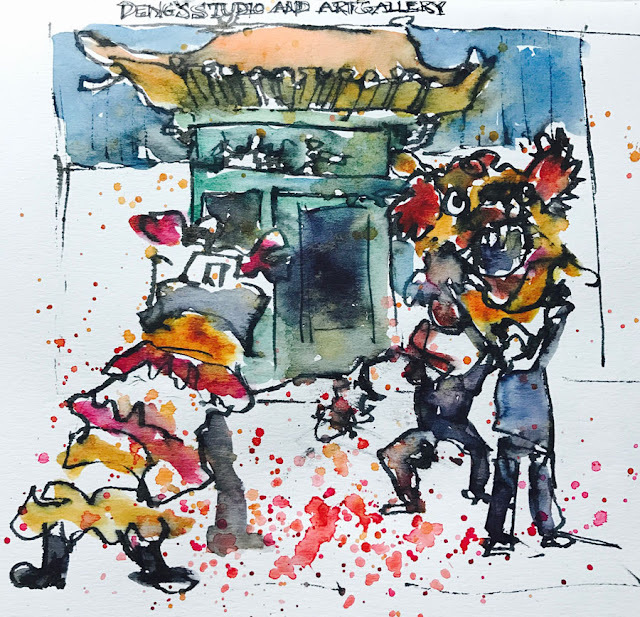 There is no formal Chinatown in Lisboa, as opposed to many other cities in the western world where the Sketchcrawl took place. 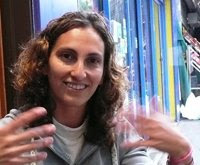 But the Martim Moniz square (above and below) is doubtlessly where the Chinese community is most present in the country. What stops it from becoming a proper Chinatown is that many more immigrant communities share the square as a hub, and they all add to the cultural mosaic that Martim Moniz is today. 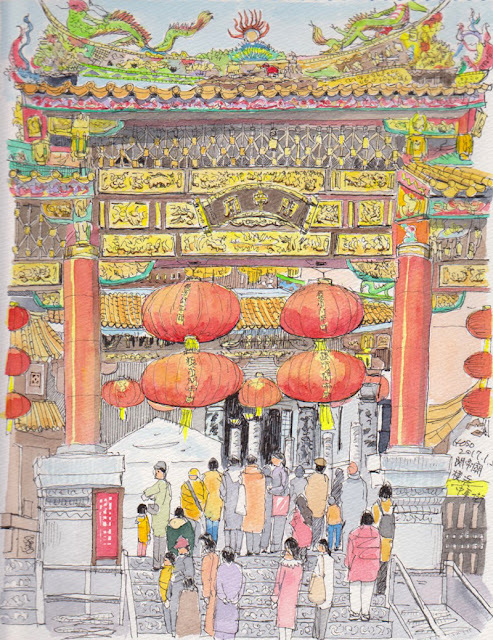 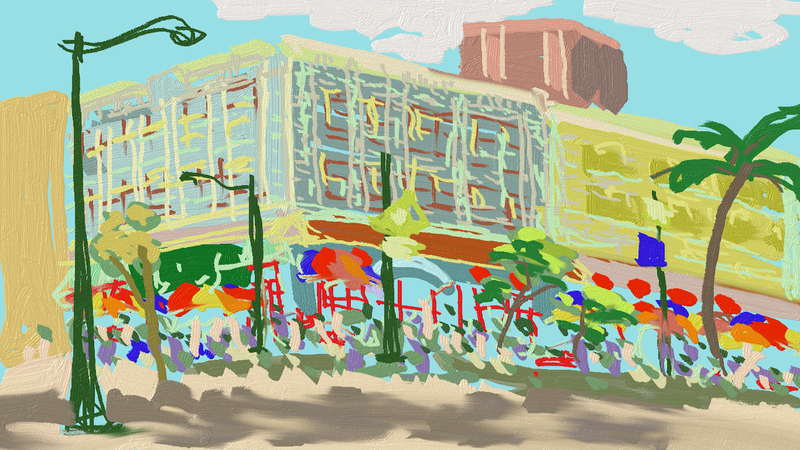 These images were done in Yokohama Chinatown in Japan's Kanagawa prefecture. 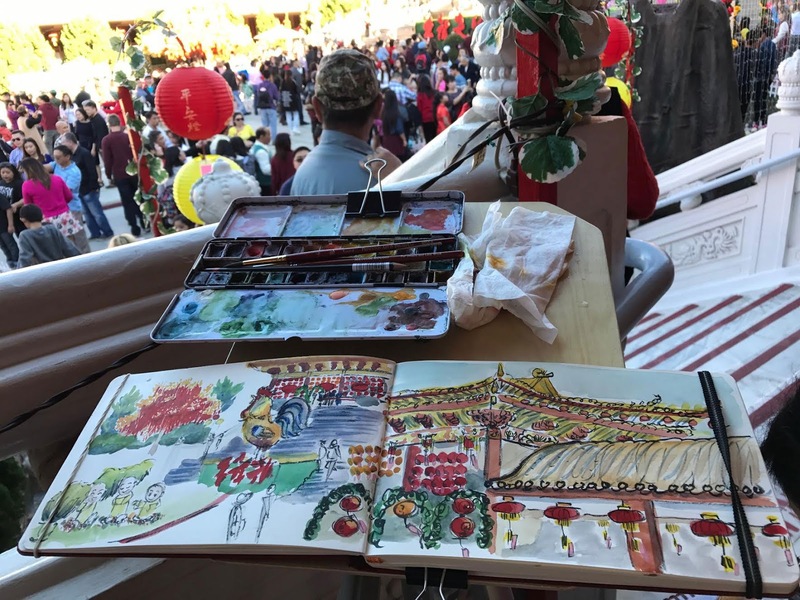 Not only people from local community but also many visitors enjoyed Chinese New Year ambiance by going to restaurants, visiting Chinese temple, and having fortune telling in the palmistry places. On this day we followed our Chinese friends from the Orlando community into their sacred place where they find peace praying and meditating. 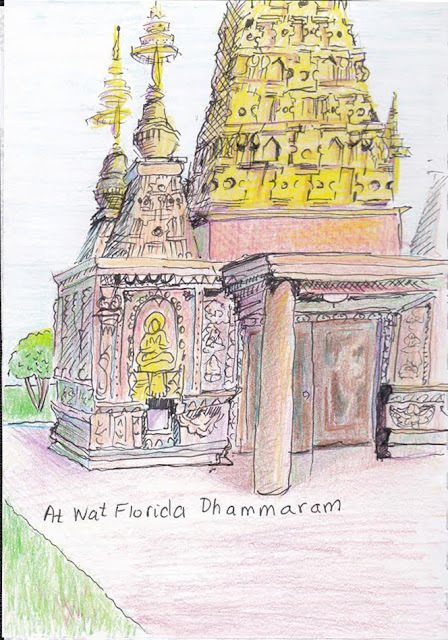 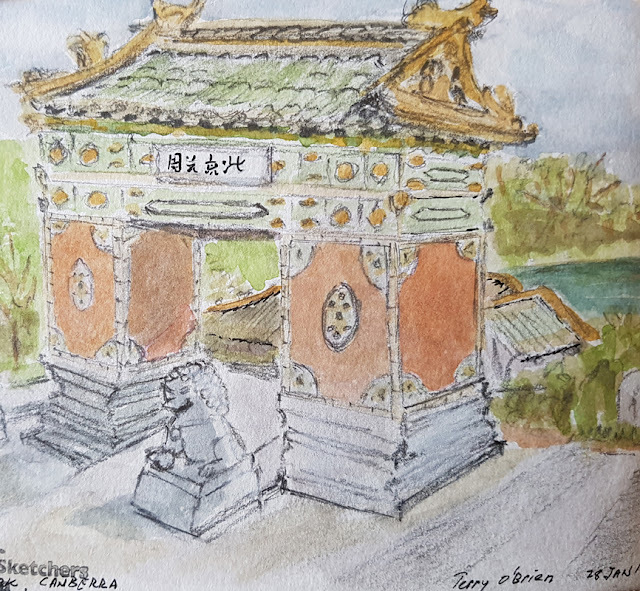 We were invited by the Abbot of the Wat Florida Dhammaram of Kissimmee Temple (below) to join them in sketching as they believe art is one of the components that connects ones emotions and soul into its being, reflecting it out in a creative art. 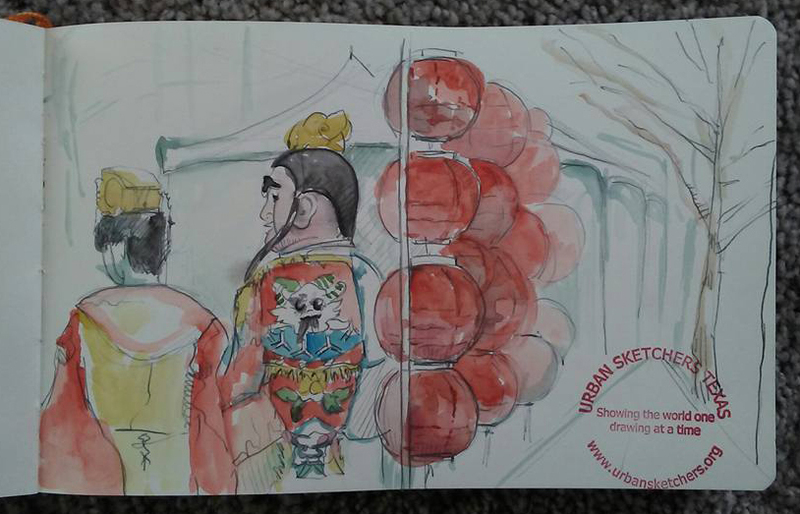 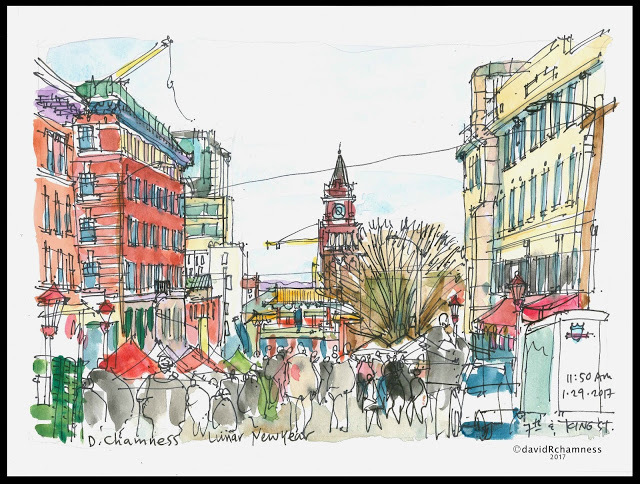 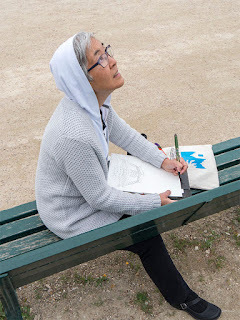 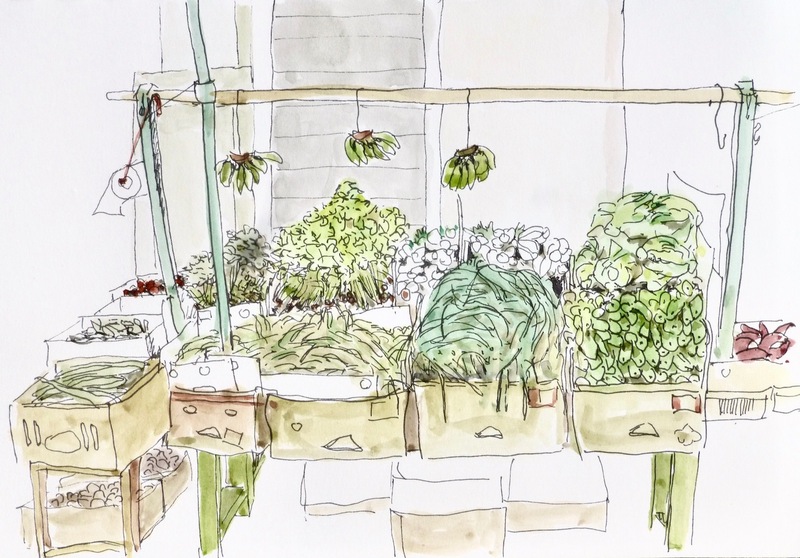 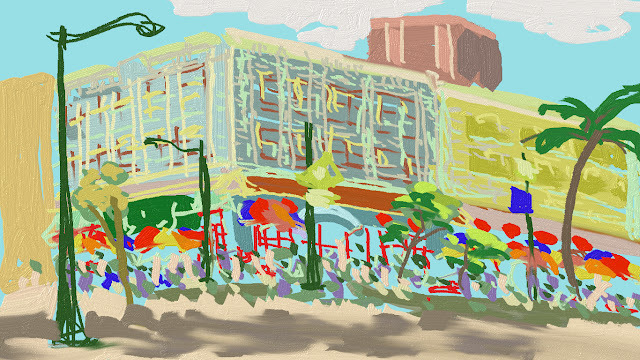 We as a small group of urban sketchers felt truly connected with ourselves that day while capturing in line and color our observations on location. 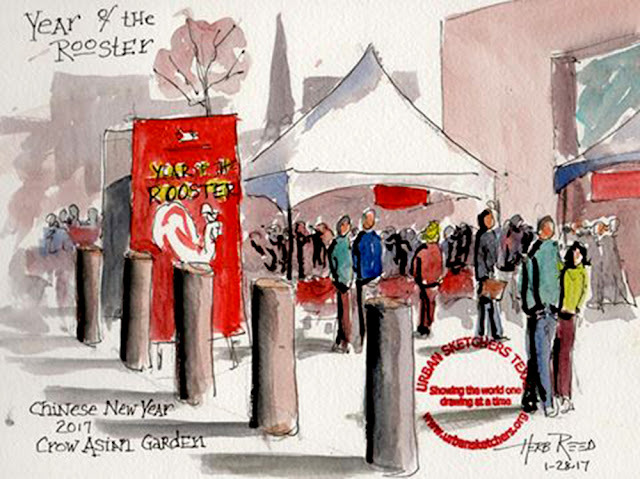 It was such an awesome experience to be amongst those celebrating. People were very welcoming to see us painting the festivities. 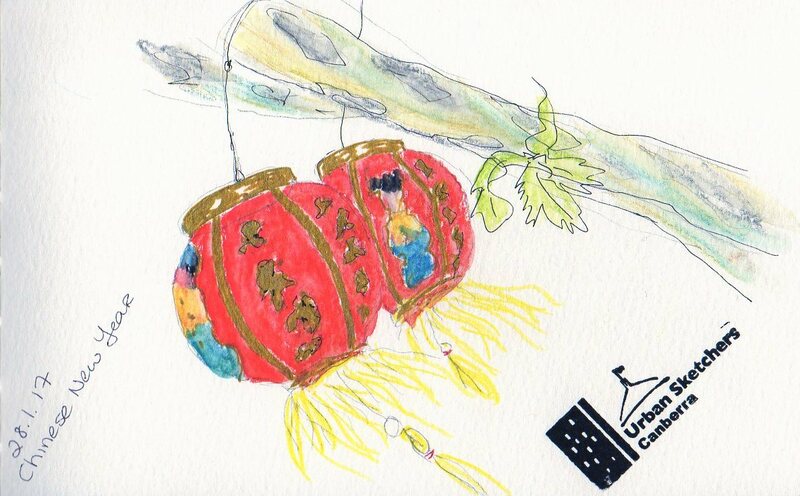 The curiosity of the children and their families was heartwarming. Chinese New Year event was celebrated in Dallas Arts District organized by the Crow Collection of Asian Arts. 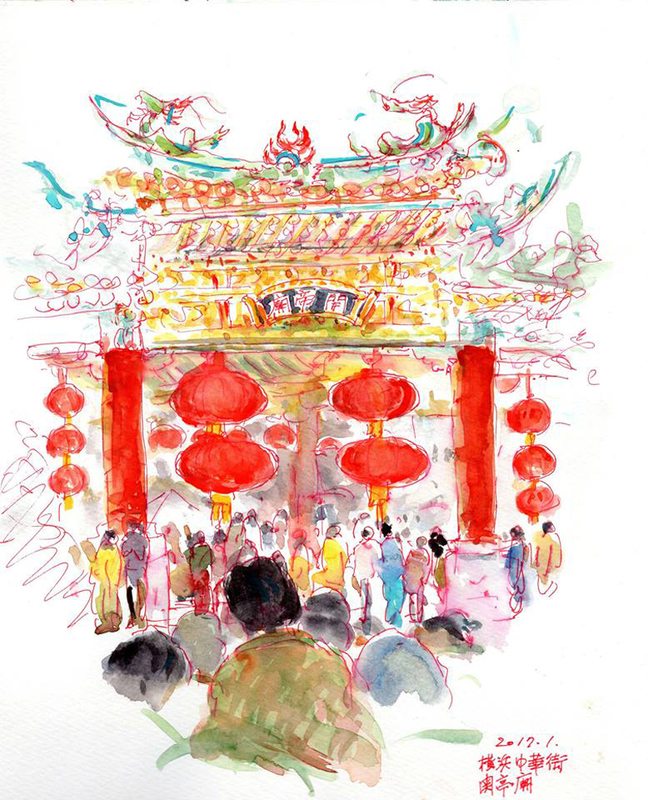 The street festival included cultural performances, fireworks, martial arts demos, live music, specialty booths, food trucks, fortune telling. 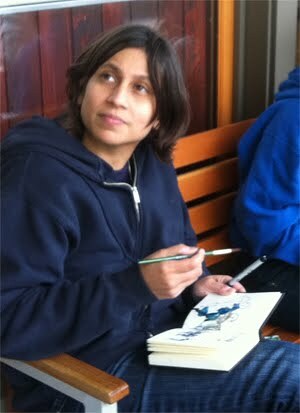 There were many opportunities to sketch. 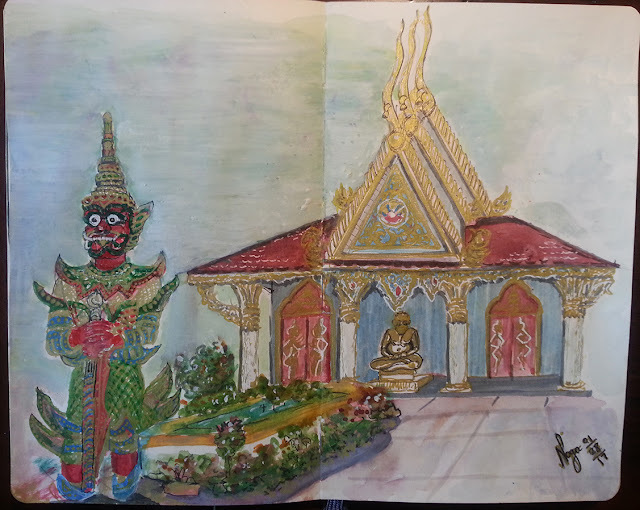 Can I have a picture with Royal Family please? USk Canberra met on a hot Saturday afternoon, (it's summer in Australia) to sketch in the Canberra Beijing Garden located on the edge of Lake Burley-Griffin. 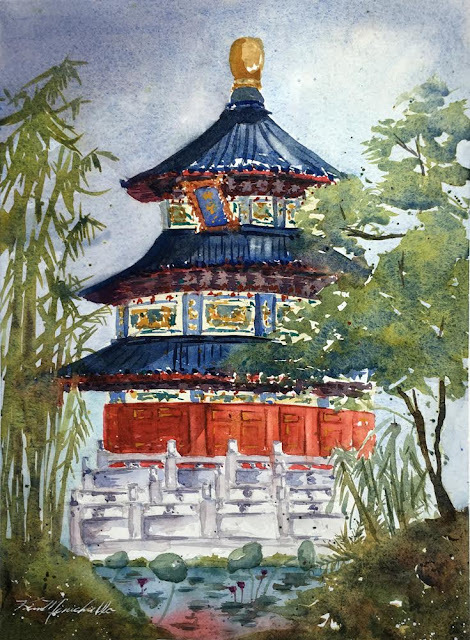 The garden was a gift to the city of Canberra from its 'sister city' Beijing, in honour of Canberra's centenary in 2013. 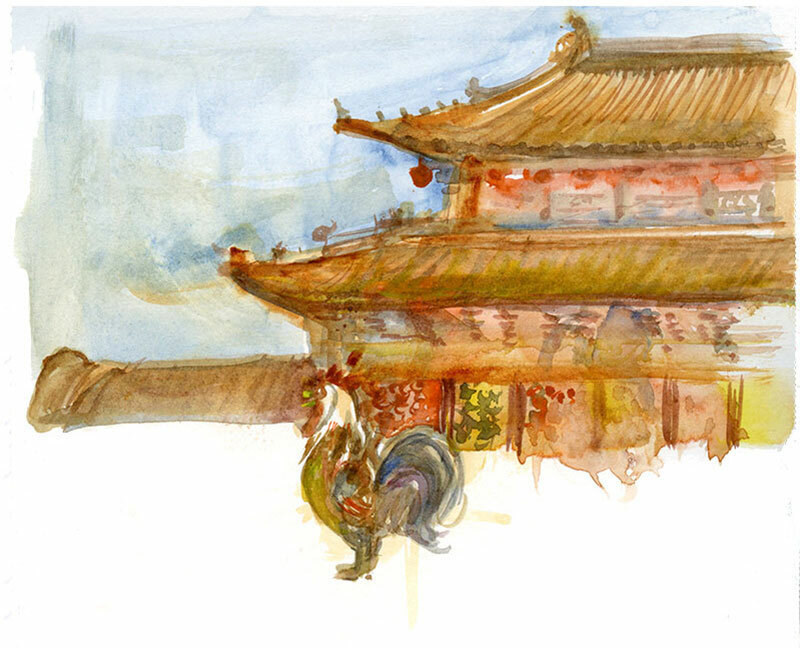 The park includes traditional Chinese elements such as a gate and pavilion and features copies of well know sculptures such as the Gansu Flying Horse and bronze Cranes. 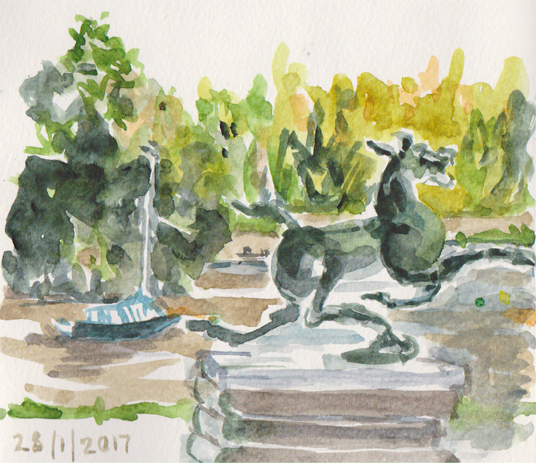 USk Canberra members were particularly interested to capture the sculptures but had to sketch around a number of wedding parties, as this is a popular spot for taking wedding photographs. 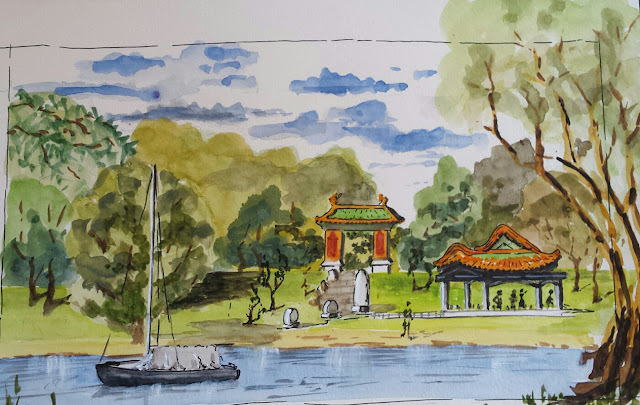 After sketching we shared a picnic afternoon tea, along with several black Swans who walked up to see if they could join in the festivities.